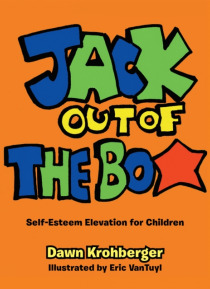 Jack out of the Box is a story about Jack well known for centuries as Jack in the Box and how through self-love and self-actualization, he finds a way to choose life out side of his comfort zone. A warm friendly character with a great enthusiastic message structured to help children find a way to choose life outside of theirs. In this story Jack realizes that he has been stuck in his box for a lon… g time andsees how much fun life could be when he comes out of the box. His heartwarming motivation will help elevate self-esteem in children which is exactly where it must begin.